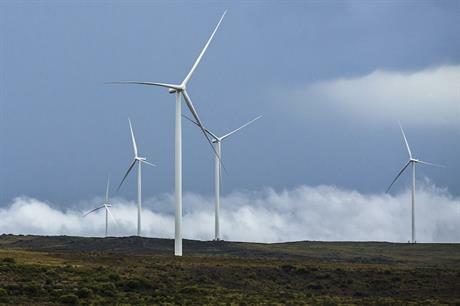 SOUTH AFRICA: The country's wind industry association anticipates 26 outstanding power purchase agreements (PPAs) will finally be signed in the first quarter of 2018. State utility Eskom has refrained from signing power agreements for nearly 2.4GW of renewables projects, including 1.4GW of wind, since the summer of 2016. But the South African Wind Energy Association (SAWEA) expects the standoff to end, with only the approval of the minister of public enterprises, Lynne Brown, needed top conclude the agreements. It states the majority of the agreements between the Independent Power Producers’ office and the preferred bidders that precede the PPAs being concluded were fulfilled in mid-December, after a new Eskom board was installed. An Eskom spokesperson this month told a South African business news website that "discussions between the Departments of Energy, Public Enterprises, National Treasury and Eskom were expected to resume during the course of this month". Once the discussions were concluded, Eskom could "implement that decision", he reportedly added. SAWEA CEO, Brenda Martin, said: "With all previous steps completed, we now await the final step in the process: approval of the minister of public enterprises so that the Department of Energy can finally enter into power purchase agreements with the preferred bidders identified through due procurement process." The utility and grid operator had refused to sign off PPAs for 2.38GW of winning bids from wind, solar PV and CSP (concentrated solar power) developers in tenders carried out under its renewables procurement plan (REIPPP). Eskom had previously cited overcapacity resulting from the country’s economic downturn and slumping energy demand, although critics suspected the regulator was reserving capacity for coal and nuclear companies. The bulk of the outstanding projects are expected to be constructed in the Northern Cape, which has more than 60% of the preferred bid allocation, while the Eastern Cape has 19%. The remaining projects are to be located in the North West (10%), Western Cape (6%) and Mpumalanga (1%) regions, SAWEA stated. SAWEA estimates that the delay has halted ZAR58 billion ($4.74 billion) in investment as well as the creation of 15,000 jobs. "Beyond the direct effects of delayed investment in rural areas, the jobs that have not been realised, along with the loss of jobs throughout the renewable energy value chain, the cost of investor confidence lost, and citizen confidence in good governance, is worth considering as well," Martin added. Together with the broader renewable power sector, we're anticipating the conclusion of the 26 outstanding power purchase agreements (PPAs) in the first quarter of 2018. The South African wind industry’s hopes of the outstanding PPAs being signed have been repeatedly raised and then crushed. After his state of the union address was delayed in February 2017, SA president Jacob Zuma announced he would force public utility and grid operator Eskom to sign the deferred PPAs. A month later Eskom told Windpower Monthly it had approved the backlog of PPAs — but the concluded agreements were not forthcoming. Later in the year, energy minister Mmamoloko Kubayi said Eskom would be contractually forced to sign all outstanding power agreements by 28 October. Two and a half months after the 28 October deadline passed without Eskom’s signature on the 26 power contracts, SAWEA now voices its confidence in the outstanding PPAs being signed before the end of March 2018.